Luxury travel company, Best at Travel, sought to bring about a steep YoY growth of PPC leads during the competitive peak month within the travel industry – January. Despite having a much-reduced budget YoY, it was also imperative to maintain high quality leads allowing strong overall business revenue growth. Growth - ROAST utilised tactics which would allow growth of traffic volume over and above our competitor set within the high net worth target audience. These included the full roll out of expanded text ads, test and learn bid strategies and a heavy mobile search presence. Efficiency - ROAST adopted an audience-centric approach that ensured this expansion of volume came as efficiently as possible. By adopting a tiered approach to our Customer Match campaigns (whereby past converters were segmented by value of holiday) ROAST opened the ability to tailor our activity for those users deemed to be of the highest potential value. 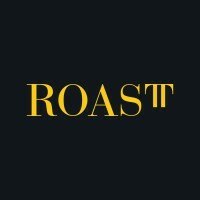 Use of site remarketing allowed ROAST to tailor our activity for past users depending upon the products they had previously viewed. Quality - To balance volume increases with quality, ROAST and Best at Travel ensured that the onsite experience was tailored to help users find the easiest route to conversion (phone call, email, online booking etc.). PPC activity was tailored by destination and product type, recognising that different areas would require varying lag times to convert leads into revenue.